Since we are a non-governmental and non-political society we are reliant on industry funding in order to successfully tackle projects and support the students of our university. Only with the help of our benefactors are we able to make progress and set even higher aspirations. That being said, we hope that you too can see value in what we are doing and consider becoming a sponsor. We offer various sponsoring packages and very much appreciate any contribution made. Our main sponsors are listed with highly visible logos in the footer section of every pages on our website, and on hover action the logos became colorful and click event takes you to the specific sponsors website. In mobile viewport, optimized logos are working in the same way, but the logos are changing with a carousel script, helping viewers and companies to be seen and discovered in a convenient way. These featured logos can greatly help to spread the word about a specific company. Please, contact us with confidence in case of sponsorship inquiries. PM Lucas delivers Integrated Project Solutions to meet the industry challenges of being economically viable, technically robust and reliable. Our expertise in understanding the reservoir underpins our capabilities to span both subsurface and surface development as well as their implementation and operation. We are flexible; we deliver value on projects as small as a single specialized consultant to as large as full field development, EPCC and complete turnkey projects with value in excess of $100 million USD. The production of heat is one of the main causes for the use of fossile energy. GREENWELL aims at substitutuing the use of fossile energy for heat production with geothermal energy e.g. to heat greenhouses. industry green clean renewable energy! MND Drilling & Services a.s. is a drilling contractor engaged in international activities in a number of European countries and a provider of a complete spectrum of services ranging from oil, gas and geothermal exploration/production drilling and workover to the drilling and completion of underground gas storage wells. MND Drilling & Services has a long-standing tradition in providing all types of workover services. The company guarantees professional quality services at the highest level. RDG is a new kind of energy company. RDG’s core business area unites traditional oil and natural gas production with the generation and storage of energy from renewable sources. We provide unique solutions for decentralised, domestic energy production from subsurface resources. As a high-tech enterprise, we start out where our competitors have already given up: we combine the best of two worlds. The objective of RDG is the redevelopment of abandoned, unprofitable oilfields and the search for further reserves in the immediate vicinity of these fields. To achieve this objective, RDG employs traditional oil production methods and sets highest standards in terms of technological expertise, workplace safety and environmental protection. 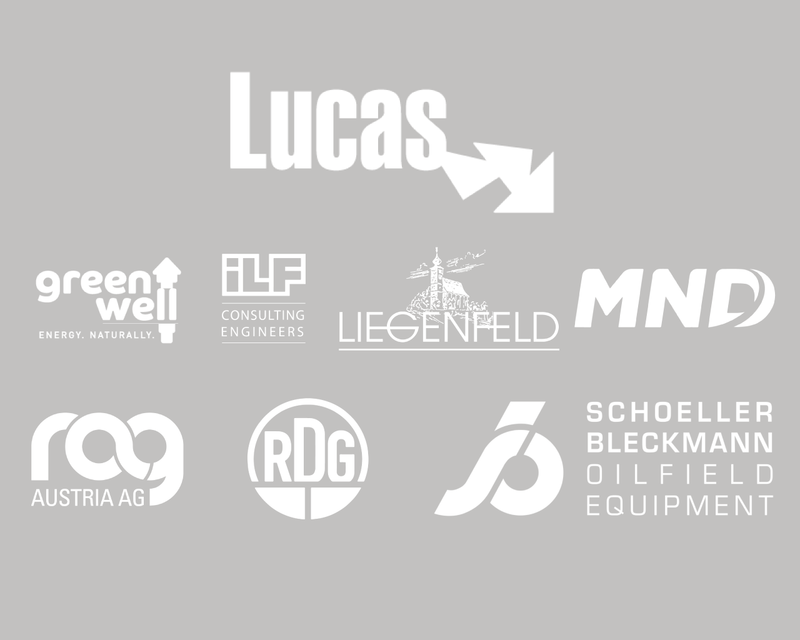 SCHOELLER-BLECKMANN OILFIELD EQUIPMENT Aktiengesellschaft (SBO) is the global market leader in high-precision components made of high-alloy steel and a leading supplier of key components for the oilfield service industry. The business focus is on non-magnetic drillstring components and high-tech downhole tools for drilling and completing directional and horizontal wells. DEA Deutsche Erdoel AG headquartered in Hamburg, Germany, is an internationally operating exploration and production (E&P) company for natural gas and crude oil. The purpose of the business is the safe, environment-friendly and sustainable production of crude oil and natural gas along with its storage. In its exploration and production operations DEA applies its extensive geo-scientific know-how, state-of-the-art drilling and production technology and the pertinent experience from over 116 years of corporate history. In all our activities particular importance is attached to environmental protection, sustainability, safety and healthcare. GEOLOG is the world’s largest independent surface logging service provider to the oil and gas industry. GEOLOG’s leadership in advanced technologies for drilling optimization and formation evaluation is the result of 35 years of field experience and active R&D in co-operation with oil companies. GEOLOG’s advanced surface logging services and technology coupled with highly qualified and experienced personnel, permits clients to improve drilling efficiency and reduce unproductive time, saving costs and improving rig safety. GEOLOG’s innovative integrated rock and fluid characterization at wellsite enables fast and detailed reservoir interpretation, to optimize well completion and future production. From its headquarters in Amsterdam (The Netherlands) and its manufacturing and R&D facilities in Milan (Italy), GEOLOG operates in over 45 countries with a combined staff of 1,500. ExxonMobil, the largest publicly traded international oi and gas company, uses technology and innovation to help meet the world’s growing energy needs. They hold an industry-leading inventory of resources and are one of the world’s largest integrated refiners, marketers of petroleum products and chemical manufacturers. MOL Group is a leading integrated Central & East European oil and gas corporation headquartered in Budapest, Hungary. It has operations in over 40 countrie and employs almost 30,000 people worldwide. MOL’s exploration and production activities are supported by more than 75 years’ experience in the hydrocarbon field. Hot Engineering is company offering fully integrated services starting from geophysical interpretation and reservoir characterisation, all the way through to reservoir modelling, flow simulation and field development. Their special area of expertise are core, drill cuttings and log based reservoir characterisation along with the development of seismically consistent, high resolution 3D static and dynamic reservoir models. The E&P training services include public as well as customer-tailored training, which can include HR tasks such as competence assessment, development and progression tracking, thus forming an all-round competence-management package. DEA Deutsche Erdoel AG headquartered in Hamburg, Germany is an internationally operating exploration and production (E&P) company for natural gas and crude oil. The purpose of the business is the safe, environment-friendly and sustainable production of crude oil and natural gas along with its storage. In its exploration and production operations DEA applies its extensive geo-scientific know-how, state-of-the-art drilling and production technology and the pertinent experience from over 116 years of corporate history. In all our activities particular importance is attached to environmental protection, sustainability, safety and healthcare. OMV Aktiengesellschaft is one of Austria’s largest liste industrial companies. In Upstream, OMV has a strong base in Romania and Austria and a balanced international portfolio. OMV operates a gas pipeline network in Austri and gas storage facilities in Austria and Germany. Engie (formerly known as GDF Suez) is a global energy player and an expert operator in the three key sectors o electricity, natural gas and energy services. The Group puts responsible growth at the heart of all its businesses in order to rise successfully to today’s majo energy and environmental challenges: responding to the demand for energy, ensuring security of supply, combating climate change and making optimum use of resources. The TDE Group mission is to be the leading service provider of performance analysis and process optimizatio solutions aiming to measure large data streams and display valuable results for efficiency-oriented customers. Due to the continuous pursuit of improvement and development the company creates sustainable added value for customers, employees and stakeholders. As a global company, the group is aiming to support its clients worldwide and directly on site while creating a basis fo further growth. The TDE Group appreciates and encourages the internationalization of its workforce and always ensures an environment for an optimal work-life balance.